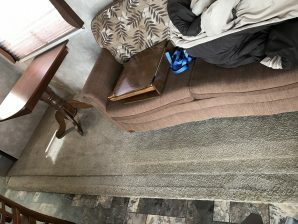 RV cleaning requires a special touch when getting them cleaned. Theres carpet, upholstery, mattresses, and leather all in a small confined area that you may live in for a few months. With such a tight living space you better believe its going to show wear on the carpet and upholstery. Also, theres going to be a lot of dirt tracked in from your feet and from heating or cooling unit. 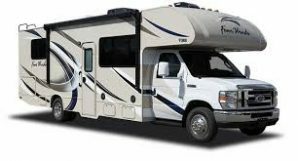 So we recommend getting your RV cleaned at least every 6-8 months if you’re using it frequently so that your RV maintains a clean and healthy look for each of your trips. Also, cleaning it will improve the air quality by 89% and the carpet, upholstery, and mattresses get 98% of all allergens removed. Providing you with a healthy RV! When we clean RV’s we use our low moisture cleaning process call Hot Carbonated Extraction method and using our green certified solution called The Natural. Sunrise Chem-Dry uses 70-80% less water then your typical steam cleaner. 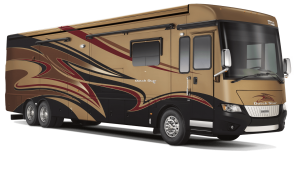 This gives your RV and few added benefits when getting it cleaned. First the dry time is in 1-2 hours vs the 6-12 hours you experience with steam cleaners. Second, since we are using less water this means we don’t run the risk of damaging important components or getting unwanted wires wet in the RV. Third, The Natural is green certified which means its safe for you, your kids, and pets. This is extremely important because if you’re living in a small confined area you don’t want to be breathing in toxic chemicals that some steam cleaners use. After each cleaning we recommend to protect your carpet and upholstery. Protection provides an invisible barrier that blocks dirt from getting into the carpet or upholstery fiber. This provides a long lasting cleaning and helps to stop preeminent staining in your RV. Sunrise Chem-Dry is not as expensive as other companies we also offer comprehensive services such as carpet cleaner, commercial cleaning, upholstery cleaning, area rug cleaning, tile and grout cleaning, mattress cleaning, carpet repair & carpet cleaning Glendale AZ. Get started today with our professionals.